Note: On the morning of election day this week, I eagerly and optimistically shared my thoughts via a Facebook Live video about the election outcome that seemed so likely. I was premature as a friend suggested that morning. These are my thoughts four days after the election. Early on the evening of election day it was apparent, the vote was not going our way. When Fox News called Wisconsin I knew it was over. Not only had Hillary Clinton lost, our world had changed in a profound way. It's true that we don't know what's next any more than I knew what would happen on Tuesday morning. First, we know that Hillary won the popular vote. When all votes are counted her lead is likely to exceed the margins of victory—in the popular vote—of Kennedy, Nixon in 1968, and Gore. We know that American presidential elections are not decided by popular vote. We know that the Supreme Court gutted the landmark Voting Rights Act of 1965 in 2013's Shelby County vs. Holder decision. This is just one small part of Antonin Scalia's legacy to us. This means he was instrumental in tipping two elections through judicial actions. Yes, the Supreme Court matters. Good God does it matter. We know Republicans moved fast after the Shelby decision and they have worked strategically and diligently to gut voting rights through a wide array of voting restrictions targeting minorities--many of which were explicitly prohibited under rules in place due to the Voting Rights Act. We know that Obama's entire legacy is at risk including the Affordable Care Act which gave health insurance to millions of Americans who otherwise would not have it. We know that James Comey, the FBI director, broke precedents in how he handled a complete non-case and it almost certainly influenced this close election by intimating a dark but unstated case against Hillary. That case never existed. We know that the KKK and other white nationalist groups are celebrating. We know that in the short term, Donald Trump is not going away and that this long national nightmare continues. 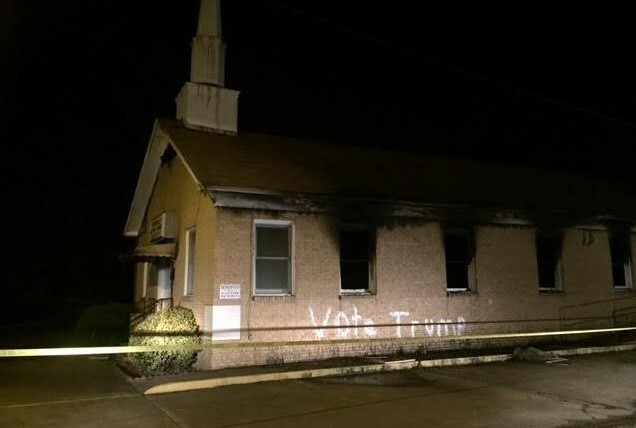 Days before the election this church for African Americans was burned in Mississippi. Vote Trump was painted onto the side of the building. We also know our world is shifting inward and that nationalist, anti-immigrant, anti-trade sentiments are simmering around the globe. Historically speaking these are alarming trends. These sentiments, and the accompanying movements that support them violate the principles that have helped world prosperity grow to levels unseen in human history. And while the world has not been at peace since 1945, we have not had a world war. Neither have nuclear weapons been used since 1945. There has always been and will always be risk, but the nuclear clock just got a lot closer to midnight. Donald Trump will be guiding our foreign policy. Take a moment and consider that. I share President Obama and Hillary Clinton's hope that Trump will be a successful president. But we must not be stupid or let hope make us less vigilant. After all, we've seen the kind of man he is and it's not pretty. Hillary Clinton concedes in New York City, November 9, 2016. Trump won after running the most despicable campaign in modern history. Politics have long been a rough and tumble game, but he lowered the standards of discourse below where most of us thought it was possible to go. There was a huge shift in the vote among long-time working class white Democrats toward Trump and that more than anything gave him his victory. Places like Richland County, Ohio where I grew up are in the heart of this regional shift that cost Clinton the election. It is now fashionable to empathize with how much these people are hurting and it's wise to always work to understand others. But the typical midwesterner, no the typical American, who went so strongly for Trump is less educated, less traveled, lives in overwhelmingly white counties, and is in a bubble far more so than urban Americans. I left those areas to learn about and live in a broader world. My life, among other things, has been about learning about people whose experiences are vastly different than my own. Many of those I left behind voted for Trump. They made a huge error and as much as I need to understand them, they too need to get out and see the world and understand people not like themselves. 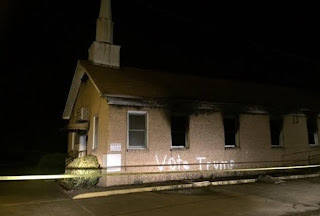 They have enabled hatred by voting for someone who is racist, misogynist, xenophobic, Islamaphobic and whose vice presidential pick is a leading homophobe. Who needs to work harder at understand others? We all do, but their bubble is more homogenous than mine and the pain they feel in adjusting to today's world is no greater than mine. Change is hard for all of us, but we must adapt, not try to turn back the clock--which by the way will not happen. Trump voter's acceptance of hatred of others is deplorable. Clearly Hillary did not speak to those people and with hindsight we can rip apart how she ran her campaign or talk about what might have been. But that is with the luxury of hindsight. Meet Steve Bannon, a key architect to Trump's Electoral College victory. It's critical to know the people on the inner circle. 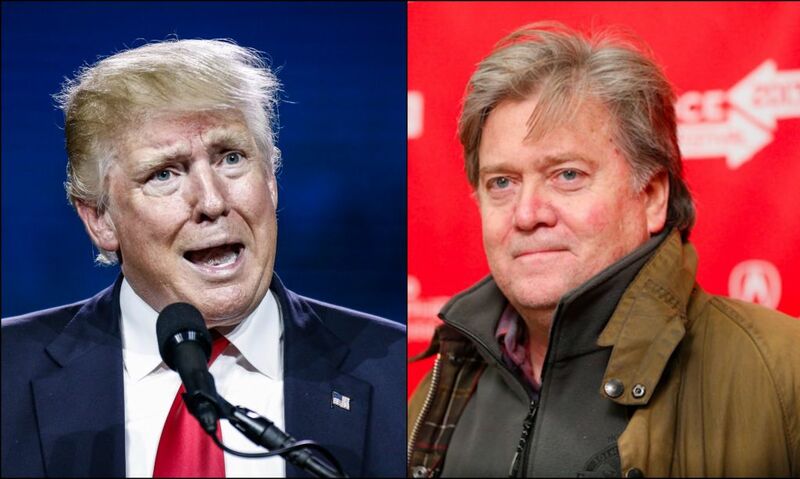 Trump's rise to power was led by the likes of Breitbart's Steve Bannon, the chair of his campaign. Breitbart is a news and opinion website. Their most successful story line over the past couples of years has been their spin on who Hillary Clinton is. People absorbed and even relished their twisted narrative. It's a narrative that is only loosely based on reality and that I reject. It worked. But what is the alt-right? It's not a term that I was familiar with until Bannon was picked to lead Trump's campaign this past summer. Alt-right is a term we all need to know. I've slightly modified Wikipedia's definition here: "The alt-right is a segment of right-wing ideologies that reject mainstream conservatism in the United States. It is largely internet-based and found on websites, where anonymous members create and use internet memes to express themselves. The alt-right has no formal ideology, although various sources have stated that white nationalism is fundamental. It's also associated with white supremacism, Islamophobia, antifeminism, homophobia, antisemitism, and ethno-nationalism." If you know your history that sounds a lot like national socialism—also known as Nazism. Whatever. Nationalist or racist—there is clear overlap in those ideologies and it's indisputable that Trump's campaign was built on stoking white nationalism and racism in ways that haven't happened since George Wallace ran for president in 1968. Wallace was not a major party candidate. Pay attention because Bannon, Trump's campaign chair and the CEO of Breitbart News--the self-proclaimed platform of the alt-right, is reportedly being considered for the position of Trump's chief of staff. This is terrifying. We all know that nationalist and racist extremist groups exist, but in normal times in recent American history they are roundly denounced by leaders across the political spectrum. As we all saw, most Republicans played along with Trump this year or if they opposed him most did so in the meekest way possible. The people who will be in power have clearly stated ideologies that are far from the American mainstream. And now they fully control our federal government. Like Hillary, I still believe in the United States of America. At the same time I am extremely pessimistic about our short term future, but if we survive it without any calamity, and if Trump respects our constitution as he governs and when it's time for him to run for re-election (if he so chooses), then we can be hopeful. That is quite an if-then statement. God help us. Don't underestimate the risk we now face because of this election result. This is a different world. In the meantime, we need to figure out what we can do now to be an effective opposition and lay the groundwork to take back our government. 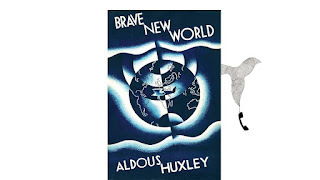 The title of this post was inspired by Aldous Huxley's book.